Big Magento happening takes place today in Belarus – Meet Magento Belarus. It is one of plenty local Magento conferences around the world intended to bring Magento developers and marketers, professionals and newbies, robust companies and startups at one place to share Magento knowledge and rediscover the passion for Magento innovations. BelVG is also presented at the conference with Pavel Novitsky as a spokesperson with the topic “Magento debug process.” If you haven’t got the chance to visit it, don’t worry – we will post the article about its agenda and the most interesting ideas discussed early next week. This time we have prepared for you a new Prestashop module, one Magento giveaway and update. Prestashop Live Chat ensures communication between store answering service and users. Visitors will see the Live Chat tab at the bottom of the page and send messages instantly even if the operator is offline. The operator will use a special backend window to chat with several customers at one time. Magento Pinterest Free integrates the website with one of the most popular social services and provides products with “Pin It” and “Follow Us on Pinterest” buttons. By pinning your products, customers place them at their virtual Pinterest boards and increase brand recognition. 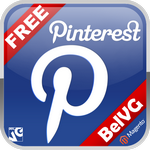 Users are welcome to follow store account on Pinterest and stay updated on its news. Download this extension for FREE. 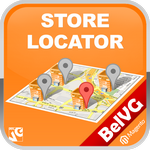 Magento Store Locator extension enables displaying physical stores with products customers are looking for and give them map directions with. We released its 1.0.2 update with the following features.